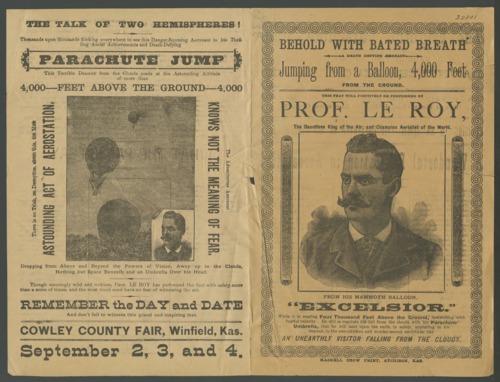 This Cowley County fair poster advertises Professor Le Roy, a man who jumps from a balloon 4,000 feet in the air, and uses a "parachute umbrella " to come safely down to earth. The fair's dates are shown as September 2-4, in Winfield, Kansas. The exact year is not known.